DCU beat DIT by 13 points in the Fitzgibbon Cup quarter-final. Any hope of an upset in St Clare’s was put to bed in the second half with DCU’s super subs Rory O’Connor and John Donnelly stopping any hope of a DIT revival. DCU started the game the stronger with a point from Killian Doyle and two frees and a point from James Bergin to DIT’s two frees from Eoghan Dunne. Roche’s men would punish DIT early in the first quarter as a blocked shot was followed up by Sean Morrisey, putting DCU in the driving seat at 1-4 to 0-2. 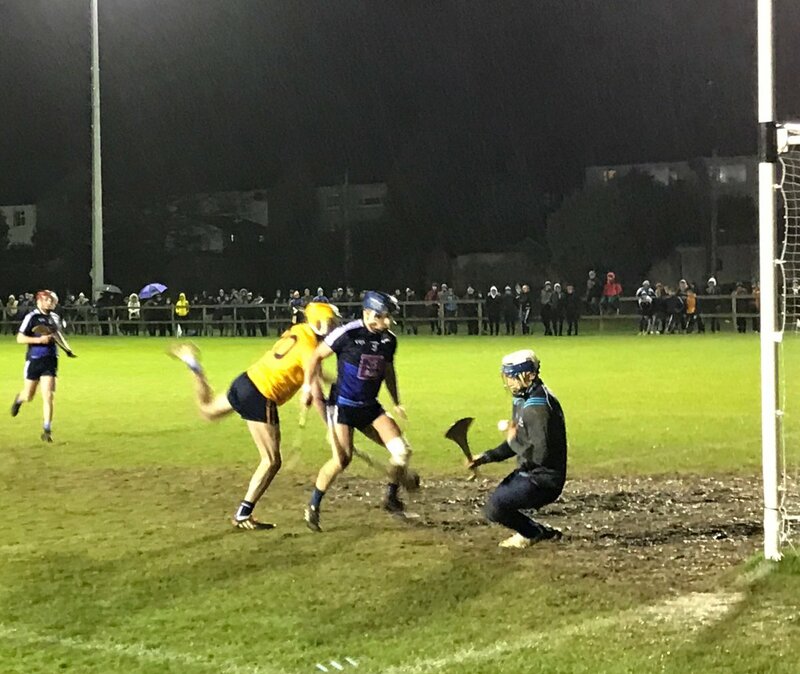 Bergin added a confident free from inside the 65 but he was out done by teammate Killian Doyle moments later when he retrieved the ball turned and swung the ball over the blackspot to awes from the home crowd. Further frees from Dunne kept DIT in check with Eamonn Dillion scoring an outrageous point from the side line on his weaker side to much applause from the travelling support. Having controlled most of the half DCU only took a 1-8 to 0-6 lead at the break due to their lack of efficiency up front with the wides count mounting. As the second half resumed DCU and DIT traded points from frees. The move of the match came from Donal Burke in a moment of individual brilliance. Burke soloed the ball in from the northside of the pitch before rattling it across Jonathon Treacy in goals. DCU were now in the driving seat with a comfortable eight-point cushion. Fergal Whitely added to his Dublin teammates goal with a fine point from 45 yards out. More free-taking followed from fouls awarded for tackles that weren’t shoulder to shoulder, as DCU pushed in to a nine-point lead at 2-12 to 0-10. But DCU were tenacious in defence and only allowed DIT to puck over frees when they were in desperate need of goals. To make matters worse for the visitors the introduction of Billy Ryan, John Donnelly and Rory O’Connor put them to the sword in the closing stages, with O’Connor hitting over a signature score running towards the side line from 45 yards out. DCU ran out comfortable victors and will now face UCC on the 12th of February in a venue TBA. Scorers for DCU: James Bergin 0-8 (7f), Sean Morrissey 1-1, Donal Burke 1-0, Killian Doyle, Rory O’Connor and John Donnelly 0-2 each, Ryan McBride, Fergal Whitely, Damien Reck and Fionntan McGibb 0-1 each. Scorers for DIT: Eoghan Dunne 0-7 (7f), Eamon Dillon 0-2, Liam Blanchfield, Niall Walsh and Aonghus Clarke 0-1 each. 15. Sean Morrissey (Bennettsbridge, Kilkenny). 24. Fionntan Mc Gibb (Setanta, Dublin) for McBride (44). 15. Eamon Dillon (Naomh Finbara, Dublin). Image Credit: Brian MacCraith @muirtheimhne / Twitter.